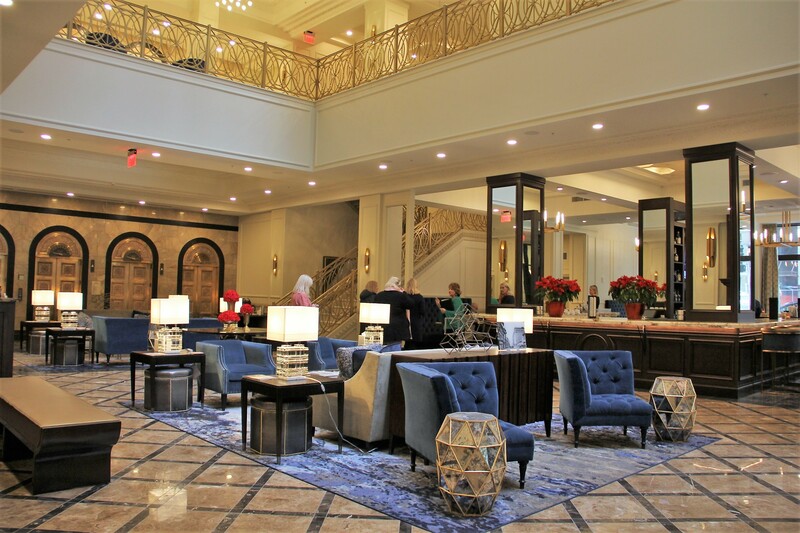 The building, which dates back to 1893, operates under the Autograph Collection Hotels by Marriott flag — the first in St. Louis – and features 140 guest rooms including 52 suites, 14 luxury apartments, a three-bedroom top-floor penthouse, spa, rooftop pool and bar, among other compelling and one-of-a-kind amenities. The renovation has resulted in stunning interiors that bring new life to the building. Restoration St. Louis made a concerted effort to stay as true to the original Sullivan design as possible throughout the two-year project. Except for some alterations in 1924, the exterior of the building is in its original form. The street-level restaurant’s moniker, Union 30, is a reference to the building’s original name, its order of listing as a City Landmark, and the fact that there are only 30 Sullivan buildings left in existence. The restaurant opens into the hotel lobby, which includes the recreation of the original atrium, a new stained glass skylight and an intricate marble floor. Amrit and Amy Gill, owners of Restoration St. Louis, bring a hearty dose of St. Louis style and humor to the trappings of the new hotel. Guest room amenities include windows that open; TOTO Washlets, a first for St. Louis hotels; a vintage record player and several vinyl albums curated by Tom “Papa” Ray, owner of Vintage Vinyl; originally designed wallpaper that reflects Sullivan’s design; rugs and headboards patterned after the iconic Gateway Arch; and art work commissioned by area artists Fern K. Taylor and Muny scenic designer Andy Cross. Hotel Saint Louis comes alongside several other redevelopment projects along Olive Street, including the Railway Exchange building to the east, Hotel Indigo at Olive and Broadway, and the Chemical Building to the west. As more developments begin to take shape downtown, pedestrians, including hotel visitors and transit riders, benefit from more vitality, safety, and access to ground-floor services. “We bring iconic buildings back to life in a way that will be distinctive and vibrant for another 100 years,” Amy Gill added. Timeline: Construction started in July 2017, and the hotel and Union 30 opened in December 2018. The Grand Ballroom, spa, rooftop bar, and apartments are expected to open in February.